Rollerblades, Instagram and North Korea! As tensions mount on the Korean peninsula, daily life continues for many North Koreans. David Guttenfelder, Associated Press chief photographer, says "Despite the tension in North Korea today, everything looks normal. North Korea normal, that is" Guttenfelder is based in Pyongyang and posts regularly on Instagram. Often choosing no filter on his photos (respect! ), he shows some surprising, and some not so surprising glimpses into North Korean culture. Keeping true to Instagram, and not pre-editing content, he uses his iPhone to capture moments and the local 3G network to upload. Why is this so important? It reminds us the local people are just that, locals. They wait for buses or walk long distances to work, attend cultural events, play in playgrounds (void of little imagination) and spend time in the barber shop (third place?). 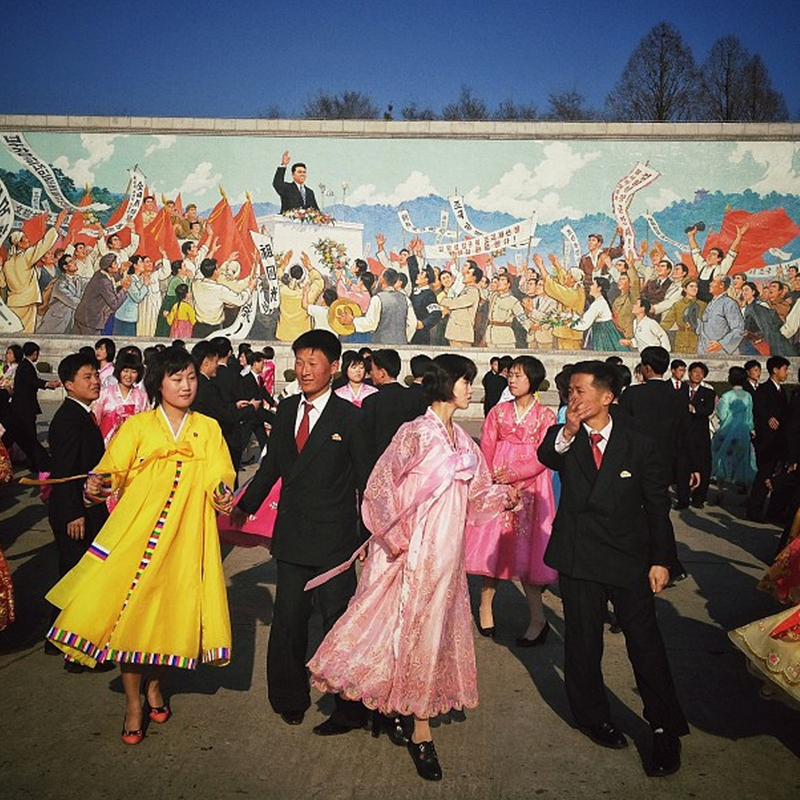 Given, North Korea has recently closed it's borders, isolating itself completely from the world, Guttenfelder's insights are an amazing glimpse inside a very complex and yet proud culture. Here at Trending City we love seeing insights into daily life of locals across the globe. Get in touch if you think we should check out your neighbourhood! North Korean kids rollerblade at a skating track in Pyongyang. Image courtesy of David Guttenfelder. An apartment block stands above the schoolyard playground equipment of a Pyongyang, North Korean kindergarten. Image courtesy of David Guttenfelder. North Koreans dance a traditional folk dance together beneath a huge mosaic of the late leader Kim Il Sung in Pyongyang. Image courtesy of David Guttenfelder.